One of the best times of the year to buy a new car is during the turnover from the current model year to the next, according to J.D. Power. Studies have shown that August is the best month of the year to buy a car. Even the day of the week can make a difference in buying a new car. According to a study by TrueCar, the average sales price of a car is more than $2,000 higher on Fridays than on Sundays. The first couple days of the month are cheaper too, with customers seeing a savings of almost $400 versus the rest of the month. If you’re in the market for a new car, here are a few tips and advice from Consumer Reports to make sure you get the best deal. Knowing how much you can spend upfront not only helps you establish your budget, it also makes negotiations with the dealership simple and easy. Financing terms can be confusing, so knowing your options and understanding your loan separate from buying the car can reduce stress. Without knowing the value of your trade-in, you might negotiate a great price for your new car but get less than your trade-in is worth. A great way to know your used car’s value is looking it up on websites such as the National Automobile Dealers Association. Also look for classified ads and car-buying websites to see what others in your area are asking for cars similar to yours. 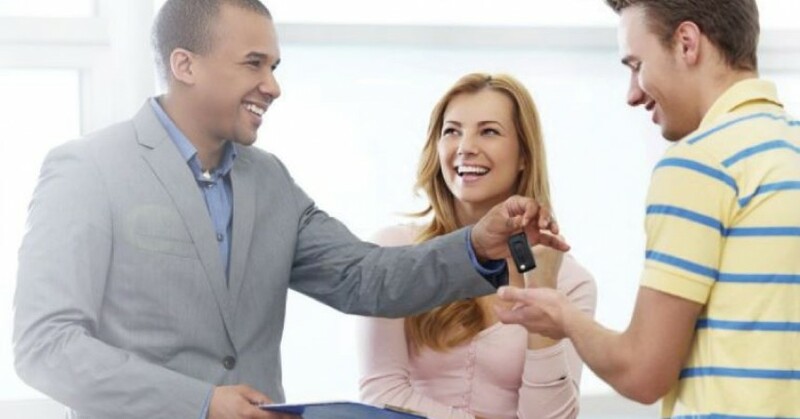 You might get a better value selling your car yourself. However, trading-in your car may also help lower that sales tax on your new car. Researching the price of the model you want to buy is critical to negotiating the best deal. How much you pay compared to the invoice depends on many factors, such as the popularity of the car and what types of dealer incentives and holdbacks are available. NADA Guides is again a great resource for determining the target price for your new car. Shopping multiple dealers and checking online sites will help you negotiate the best price. Emailing or calling dealers in your region is an easy way to get competitive prices. Another key is to focus on the price in negotiations separate from financing or trade-in value. If you prefer to work with a specific dealership, get the lowest price from competitors and ask them to match it. Knowing the model and options you want, getting pre-approved financing and estimating your trade-in value and target price is essential when it comes time to sign on the dotted line. This preparation helps you remain calm and in control. For example, negotiation each financial detail separately avoids situations where a savvy dealer may give you a lower price but charge a higher interest rate or offer a lower trade value. Clay County Savings Bank offers pre-approved financing and can help you be prepared with your budget in mind before you buy a new car. For questions and to learn more about the bank’s new car loan program, call (816) 781-4500.